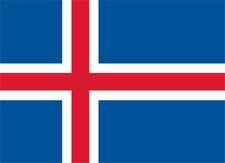 Iceland is an island nation located in the North Atlantic. The country due to climate is sparsely populated but is well developed in terms of human development, education, economy, and quality of life. The population is in very few areas and the rest of the island is well-preserved featuring valleys, lakes, volcanoes, hot springs and geysers. The country has unique Icelandic cultures and traditions and is regarded as one of the safest countries in the world. This is the reason the country has no active army and is a member of NATO which will protect the country on the time of crisis. The actual date when the first humans arrived in Iceland is not well known. The permanent settlers arrived on the island by the mid-19th century. The country has breathtaking topological and geographical features that are not found elsewhere in the world. Due to the abundance of geysers, the majority of energy is generated by thermal and hydropower. Temperature is usually low all around the year and is very cold during the winters. In earlier times, Iceland’s was one of the least developed countries and was heavily dependent on fishing or whaling but today it is ranked as one of the most advanced and developed countries with a high-income economy. 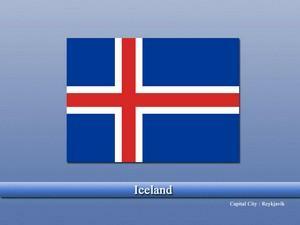 As described earlier, the population density of Iceland is very low and there are few cities and towns in the country. Approx. 63% of the total population is concentrated in the country’s largest city “Reykjavik”. Icelandic is the official and most widely spoken language of the country while Christianity is the largest religion in the country.